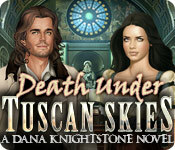 Death Under Tuscan Skies: A Dana Knightstone Novel is rated 4.1 out of 5 by 86. Rated 5 out of 5 by ninja226 from Love waits This is my 2nd DK adventure, and it is excellent. The game is long on puzzles, with few junk pile HOPs. 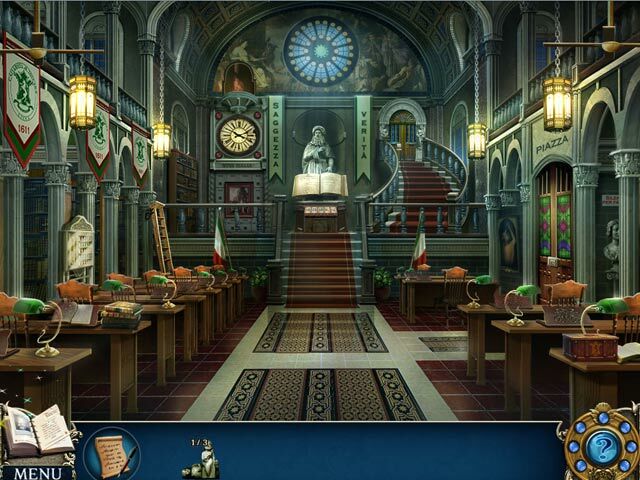 The graphics are excellent and take place in Tuscany Italy, so really pretty. Storyline is easy to follow and actually coherent. It is a long game, with 6 chapters, and achievements (although the SE version does not have any prizes for the achievements), but still a nice added touch. On to my next DK adventure. Well done, Boomzap. Rated 5 out of 5 by smilingsun72 from Mystery at the heart of an Italian vacation! Completed SE: Another great game in the Dana Knightstone series. While on vacation Dana discovers that her vacation is going to be filled with mystery when a ghost of a young woman appears to her. As Dana follows the clues she visits beautiful sites in the Tuscany region, solves a variety of puzzles, and unravels the mystery of who the ghostly woman is. In the end Dana helps Eva and Giovanni and finds their story the next chapter in her writing campaign. I highly recommend all the games is in the series. And check out other great games made by Boomzap. 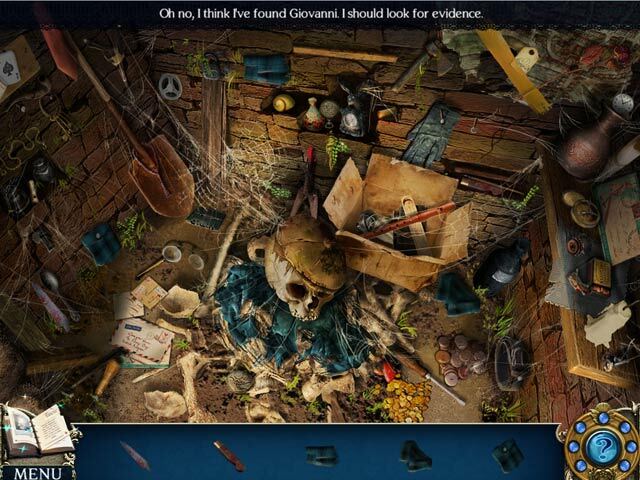 Rated 5 out of 5 by canadiangirl94 from Visiting ghosts again So this game is second in the series (the first being Death at Fairing Point), however you do not have to play it before this one. You have traveled to Italy to give a lecture on literature and you are visited by a ghost named Eva who died years earlier. It is up to you to solve the mystery and help her reunite with her lost lover. Just like the first one, the visuals and audio are great and the HO scenes aren't overly difficult. Although you typically only get achievements in CE, it was nice having the little achievements that you're able to get in the SE. Only wish there was a map to help guide you, at times it was difficult to determine what to do next as something in a location could be added after you have visited there and one would have no idea it's there. Overall great game. Rated 5 out of 5 by Fatalita from My Favorite Knightstone So this is the game that got me addicted to the series. The graphics ere so nice and the story line was really good. I thought the mini games were clever and the HOs were good. I think I liked this one so much, because the Dana plot was new to me. In her other games it seems to be a repeat of the same old stuff, which I do not like. But this one had different settings, which I loved and offered the player a chance to do stealth things which I liked. Rated 5 out of 5 by rosekaufmann from GREAT GAME TO PLAY Terrific adventure game that is a pleasure to play because of its flawless gameplay. Has lots of innovate and clever puzzles with varying degrees of difficulty and they are fun to do. Graphics are very good and make great use of color palettes to enhance the environments. Similar gameplay to the other Dana Knightstone games - not too easy and not too difficult. Rated 5 out of 5 by AdrianaIP from Delightful casual game Visuallly this is a delight. You are there in Tuscany, seeing the sights, and what pretty sights they are. The storyline moves smoothly about and the minigames while interestting can be solved easily, and you do not have a feeling of spending too much time on them when you could be admiring the sights. They REALLY know how to do HOS. They are beautiful to look at - and quite often germane to the story. A perfect way to spend a rainy afternoon. Rated 5 out of 5 by Totorro from Great Dana Knightstone sequel Another great Dana Knightstone game. I'm a big fan of Boomzap games. The graphics and sound are as always excellent. Artwork is beautiful. The story is romantic and captivating. 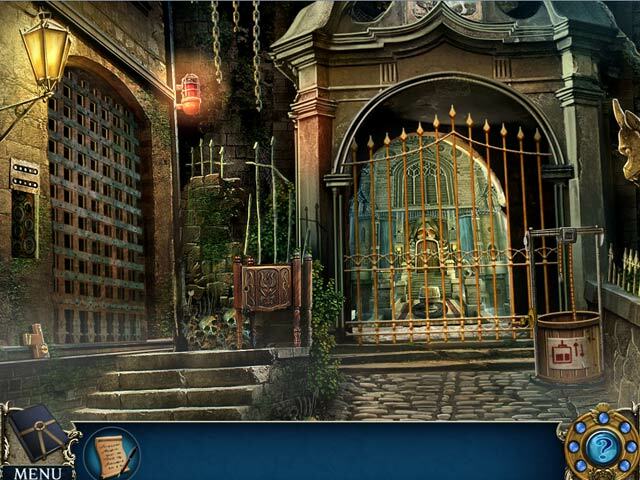 Both HOS and puzzles are fun and not too difficult. More games like this one please! Rated 5 out of 5 by angelosbak from A Puzzle, a Book and a Mental Journey Combined! This game gave me an amazing experience both in technical and storyline aspects. My main comments are: 1) it had a great storyline which created the magic sense of a film or even a book as with all the games of these series 2) although it gave attention to the story it did not lack interesting games and puzzles. It was a fantastic combination of story and game play but in addition it present a great sense of involvement to the story for the gamer.